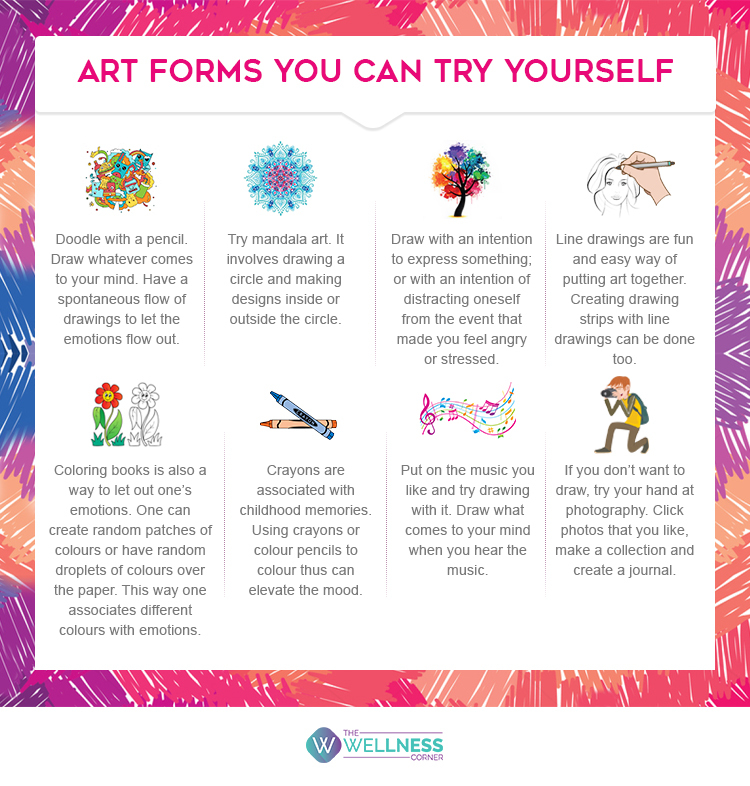 Art therapy is a form of therapy that uses creativity to enhance the mental and physical health of individuals undergoing stress, emotional issues and communication problems. One does not need to be talented or gifted with artistic abilities to benefit from this therapy. It is rather an expression of how one feels and thinks. How does art therapy benefit? Apart from self-exploration, art therapy reduces stress and boosts positive emotions by providing emotional release. Along with that, it also breaks the monotonous cycle of our mundane lives.